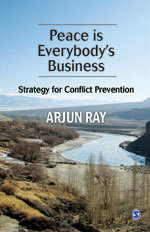 Lt. Gen Arjun Ray (Retd) is a man with an experience of a lifetime, in war, in conflict and in peace. Having served in the army for over 38 years, he possesses a practical and theoretical insight into combating conflict situations, insurgency, and post-conflict reconstruction. He took it upon himself to change the way of life of the people who live under the constant threat of terrorism and hatred. Lt. Gen Arjun Ray (Retd) was born on 1st January 1944 in Calcutta. He completed his schooling from St Xavier School, Jaipur, and later graduated from the University of Rajasthan in Humanities. During school and college, he actively participated in debates, elocution and stage plays. He was also the recipient of several state and national level awards in debating. Prior to joining the Indian Military Academy in 1963, he was sponsored by Rotary International to visit New Zealand and Australia, as a member of the Indian Universities' Debating Team for three months. Whenever the subject of alienation comes up for discussion, it is common and fashionable to talk only of India's 140 million Muslims. The scale and intensity of alienation is much more- Dalits, Schedule Castes, Schedule Tribes, other backward classes, those living below the poverty line and, not to forget, people living in onethird of India's districts that are affected by insurgency in some form or the other. While it is not possible to put down an exact figure, on a conservative estimate, the alienated population in India would be a staggering 500 million. Alienated sections of society are like dry gun powder just waiting to explode. The nation ignores them at its peril. One; it is the first book by a serving insider based upon direct experience as a Brigadier General Staff of 15 Corps in the Valley from November 1993 to 30 September 1995. 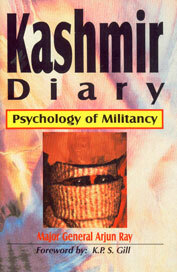 Two; all existing books address the socio-political issues about Kashmir. This deals with the psychology or mentality of political violence. What drives a common citizen to pick up on the gun; how a terrorist thinks and how violence affects all the principal actors - soldiers, citizens, terrorists and the media. The Book is more about the effect of violence rather than violence per se.